Turn yourself into a superhero caricature with a help of our artist. 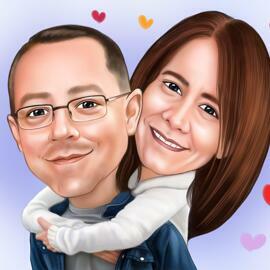 Commission our artist to draw a funny caricature, hand-drawn from photo. You will get a high quality Superhero Cartoon Drawing, made with black and white pencils, featuring all necessary superhero characteristics and design of your choice. Your Superhero Cartoon Sketch will be delivered as a ready-to-be-printed JPG File of a high resolution on your email. It is available to scan and print your ready-made Superhero caricature, at extra cost: Printed on Canvas, Printed on Photo Paper or Original Pencils Drawing with worldwide shipping.